Johannesburg - South Africa has set aside R250m to start the first phase of broadband roll-out across Africa’s most industrialised economy and will approach the private sector, banks and development institutions about additional funding, the telecommunications minister said. Construction will start in three months following various delays, Siyabonga Cwele said in a phone interview on Monday. The total cost of the project could rise to as much as R62bn, according to market research commissioned by the ministry. Further detail will be included as part of the government’s telecommunications budget, scheduled to be announced on Tuesday. “This is a top priority for the South African government,” Cwele said. The government has held talks with Telkom, the former national phone monopoly still part-owned by the state, to lead the broadband roll-out, people familiar with the matter said in February. 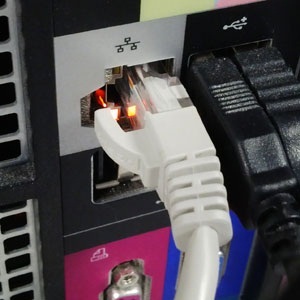 The ruling African National Congress has pledged to extend broadband access to every household by the end of this decade, improving connectivity in one of the world’s stragglers in Internet access. South Africa is striving to stimulate growth as falling commodity prices and the worst drought in more than a century curb economic expansion to the slowest pace since a 2009 recession. The unemployment rate rose to the highest in at least eight years in the first quarter as factories, wholesalers and retailers cut jobs. “Providing broadband internet on a national level to people will help us to stimulate growth and create jobs,” Cwele said.